Starting from our shop on Jl Batur Sari. One of our local guides will lead you south until we reach the rice or melon fields. 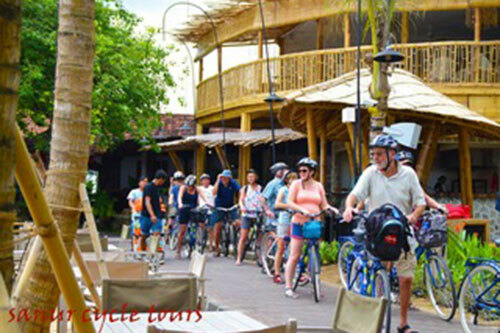 We then cycle through the maze of rice fields, small streets & gangs until you reach Intaran traditional markets. We cycle through here. So you will see how bustling this market becomes in the early morning. Our guide will then take you cycling down some back streets until we reach Jl Berata. We will then visit “Booster Coffee”for a morning coffee & you can enjoy your local snacks that are included in your tour before, we continue to Grand Bali beach. From there you ride south via the paved path to Sindhu beach approximately 1 km. We then leave the beach path & cycle to Sindhu morning market where you meet the people from your cooking school. They, together with your cycle guide will take you on a guided tour of this market where you will purchase the ingredients for your class. 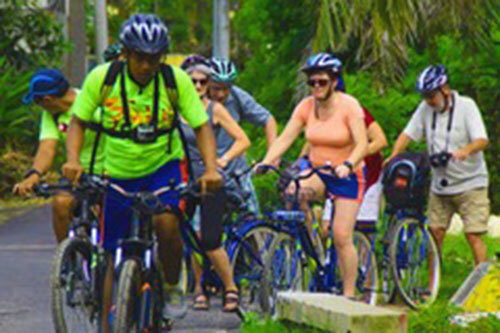 These will be taken there whilst you will then continue to cycle the full length of the beach to Mertasari Beach. 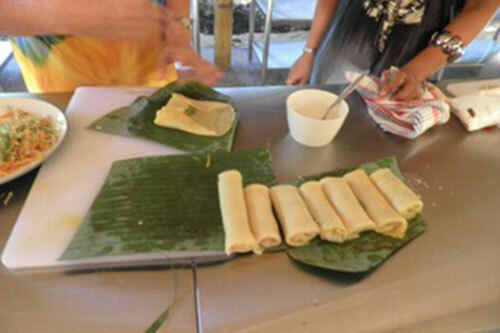 You will then cycle to “Bamboo Shoots” where you will stop to join your cooking class. At around 1 pm after your cooking class & lunch. 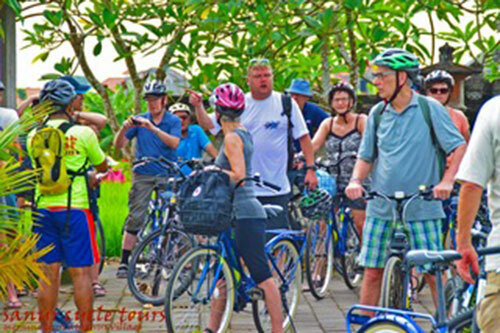 You can either be taken back to your accommodation by car or cycle back to Sanur Cycle Tours via, small paths & rice fields. 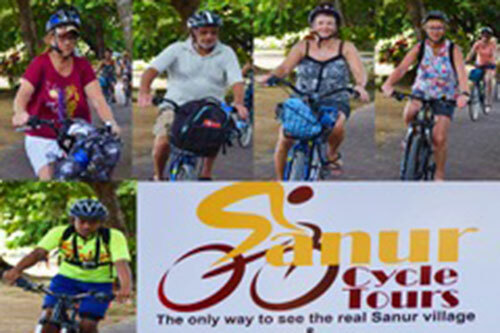 With this tour you will get to see the best Sanur has to offer including quiet back streets, beachfront, rice fields & the real Balinese culture and the best cooking school in Sanur. 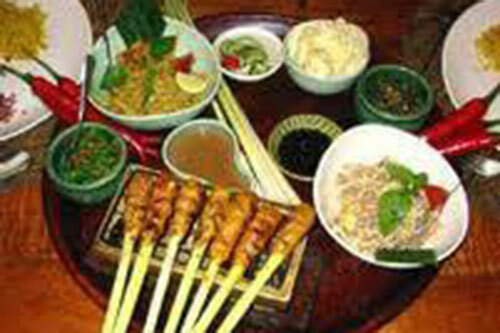 The whole tour including your cooking class will take approximately 6 hours and you will cover around 18 km. FREE pick up in the Sanur area. Rp 200, 000 per vehicle from Kuta, Legian, Seminyak. 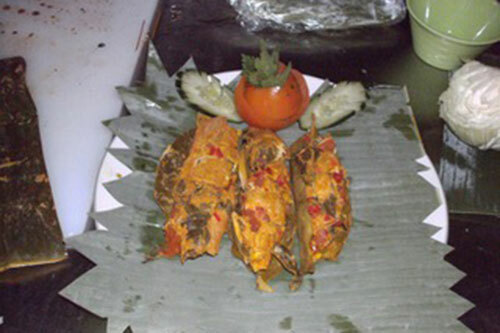 Rp 300, 000 Nusa Dua. Please book via our booking page on our website. 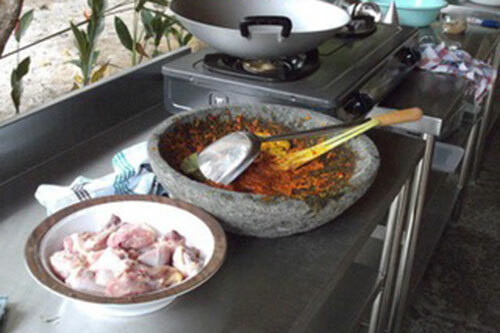 At the Bamboo Shoots Cooking School you will learn to cook many recipes of traditional Balinese and Indonesian dishes. 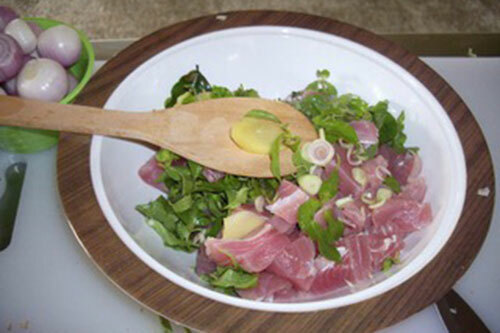 We change our menu regularly so even if you have done the school before let us know and we will make sure that we teach you to make something different. 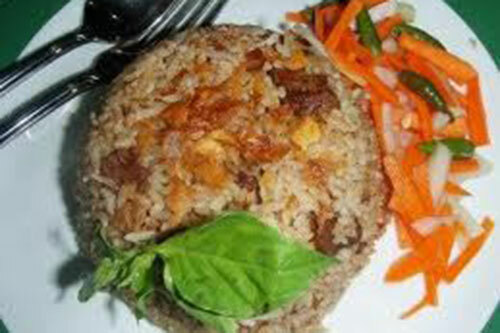 NOTE:- Seasonal vegetables & fruits may not allow some dishes to be presented.